Applications for the AUTUMN semester (September - January) open in January. The enrollment process is available to candidates who have never been enrolled at the University of Geneva before. If you have studied at UNIGE before, please click here. Please use the "guide" to find out about the conditions of enrollment according to your specific situation. For doctoral programs, a specific page provides all the information necessary to begin your studies. If you have already applied once, reactivate your application. 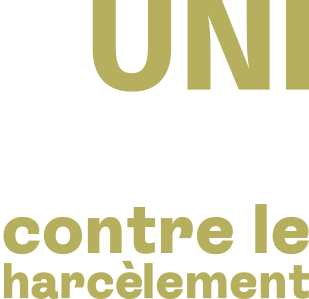 If you have already been enrolled as a regular student at UNIGE, please click here. For admission to doctoral programs, click here. Ask for an access code to fill in the enrollment application form. Complete the online enrollment application form. The application file must be postmarked no later than the deadline indicated in the relevant part of the "guide", regardless of whether the candidate for enrollment has received the degree necessary for enrollment to the University by that date. Such a candidate must submit all requisite documents to the Service des admissions (Admissions Office) and indicate when he or she will be able to submit the certificate in question. For doctoral programs, there is no specific application deadline, except for GSEM. French is the official language of the Canton of Geneva and the University of Geneva. As a general rule, French is the language of instruction at the University of Geneva, especially at the Bachelor’s level. There are some exceptions, however; please consult the descriptions of the programs to which you intend to apply or the "guide" (only in French). As a rule, bachelor's candidates not subject to the ECUS exam (as defined by the "guide") are required to sit a French qualifying exam. For several master's programs (as defined by the "guide"), there is either no need for a French exam or the exam is only of an informative nature and French proficiency is not needed. For doctoral programs, please check with the faculty/school or program concerned. Holders of a foreign or international secondary degree are subject to an enrollment fee of CHF 65 to cover the costs of processing their applications. It is payable by credit card, PostFinance, Paysafecard, PayPalor or paypal (which allows payment through a transitional account). No other means of payment (for example, cash or check) is accepted. The enrollment fee is deducted from the first semester’s university fees. It is not reimbursed in case of rejection, withdrawal, or incomplete application, regardless of the reason. For information on tuition fees, click here.